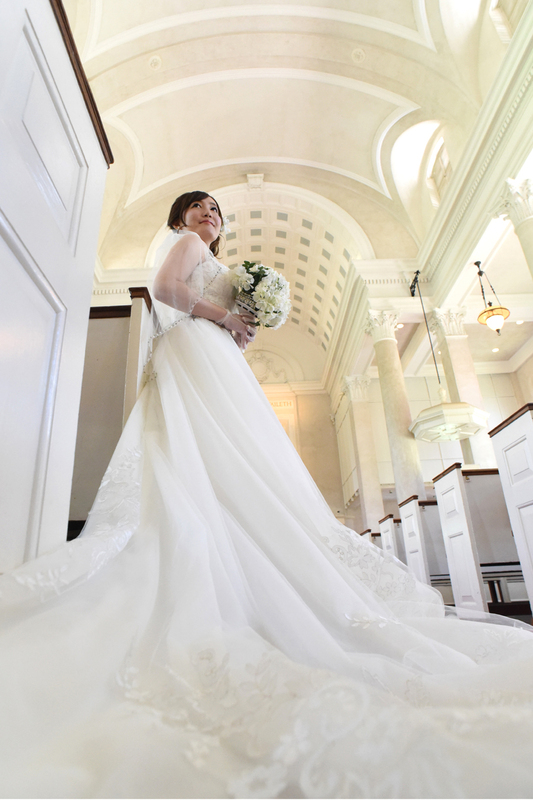 Yuki gets to show off her lovely wedding dress at Central Union Church. Excellent backdrop for wedding photos on Oahu. Wish we had more time to try every possible angle.